1. 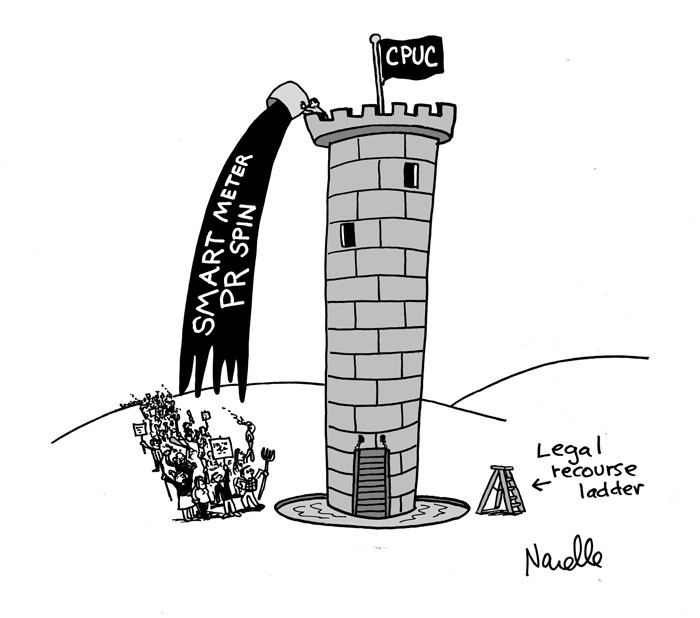 CPUC Application A.10-04-018: EMF Safety Network filed an application with the California Public Utilities Commission (CPUC) on Smart Meters in April of 2010. This application was in response to two previous CPUC Decisions: D.06-07-027 and D.09-03-026 All documents related to this application can be found on the CPUC website, click on the documents tab. A.10-04-018 proceeding documents. 2. Lawsuit against the CPUC and PG&E: Following the CPUC denial of the rehearing request we retained Best Best and Kreiger who filed the lawsuit in CA 1st Court of Appeals. December 14 2012- The CA appeals court’s ruling denied the lawsuit. There was no written order provided. The CPUC adopted this Decision in December 2014, after a year of delays. 11/26/2012 PG&E, Consumer Protection and Safety Division (CPSD) and The Utility Reform Network (TURN) filed a Joint Motion For Approval of Settlement and Joint Settlement Agreement . EMF Safety Network, Stop Smart Meters and EON are involved in this proceeding and oppose the settlement. 11/5/2012 Civil case against PG&E This case was eventually dropped. 6. 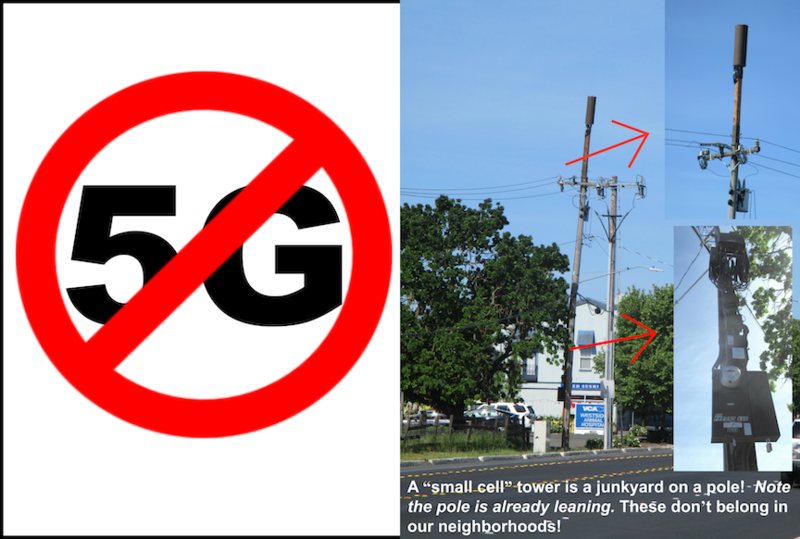 CEQA Lawsuit Sebastopol Verizon 4G cell tower: In January of 2012 the EMF Safety Network filed a petition against Verizon and the City of Sebastopol (they have a hold harmless clause with Verizon) alleging California Environmental Quality Act (CEQA) violations in for exempting the addition of 4G radiation to existing cell tower downtown Sebastopol, on city property. Environmental attorney Rose Zoia is handling this case. The court hearing was held on Friday December 7, 2012 in Superior Court for Sonoma County. The preliminary judgement favored federal preemption, which our lawyer argued against in the hearing, The final decision was in favor of Verizon based on federal preemption. 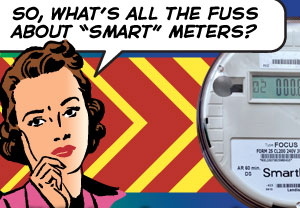 If the “contract” between the customers and PG&E originally applied to analog meters, and if changing the contract involved withholding information, ignoring science and testimony and dismissing legitimate concerns, then isn’t the contract for “smart” meters in violation of the law and the public trust that the PUC should safeguard? When we “Opt-Out”, aren’t we agreeing…by submitting to and participating in the contract…..to the legitimacy of an otherwise illegitimate contract??? Doesn’t that therefore give PG&E the power to say that we consumers who refuse the smart meters have agreed to their terms? By agreeing to opt-out now, we are postponing the installation of smart meters, not refusing them outright, according to PG&E. 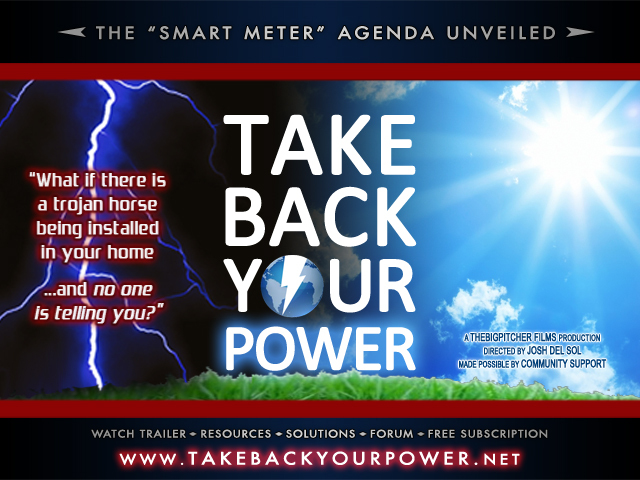 I have been given notice that I must accept the smart meters on my home or sign the opt-out before the end of the month…..no other choice. As a result, I’m facing having my power shut off and the potential of punitive fees if power is restored at a later date. same thing on my $2700.00 G.E. Refer. my microwave came back on but with a very dim light.. 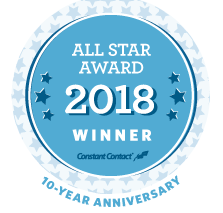 I just replaced two compassores in my two air conditioning units , after the smart meter came back on it blew out another compassador . Contact Brad Leigh at the Leigh Law Firm (281) 419-3476. I had a fire on April 21st 2011 at an apartment I rented in Eureka, CA. The meter housing for the 5 unit apartment (old Victorian divided into 5 units) was located right outside my front door. When we first tried to escape the house after the fire started, two of the recently installed smart meters were on fire. 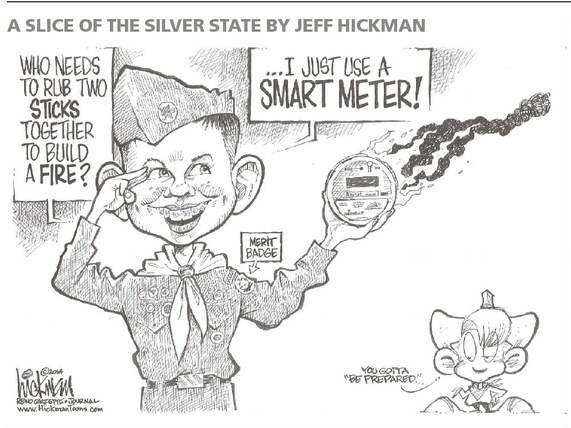 Soon after all five of the smart meters were engulfed in flames. They were shooting out arcs or what looked to be fire balls. We were unable to exit through the only door and had to exit the bldg out the rear bedroom window. I have already started a suit with pge and Landis Gry, Inc. the manufacturer of the smart meter. I do not feel that I am being represented fairly as they are trying to get me to settle for a ridiculous amount of money. The fire has already been determined by the property’s owners insurance company to have originated on the smart meter. After their investigation the pge paid the property owner a settlement. There is a lot more I have left undisclosed. Are there any law firms in Northern California that are already familiar with fires like mine? Please file a complaint with the CPUC. This should be investigated! Its important that they have a record of it. It is my apartment that is pictured on your home page, and I would like to seek any assistance on what steps I should take to file a small claims lawsuit. It was my home for 22 yrs. It is also a rental complex who will probably settle with the Electric co. and the heck with the tenants. I just need to know what to do without any litigation and extra lawyers fees. They never contacted any one, I really should not be surprised. I am just a little guy trying to recover something for all I lost, and I lost all my furniture in 3 out 5 rooms, plus a lot of things I could never replace. I had no insurance, but that still should not mean I am okay with it. PECO is at fault here. Hi, Which picture are you referring to? Was there a fire? I have run around circles between the Maryland Public Service and Attorney General’s Office to try to get their $75 one time fee and $17 each additional month opt out fee revoked by Delmarva Power. Now I am faced with the first bill of it on. Is there any lawsuit in Maryland, and if not, is there anyone who will probono work with me to get these fees removed? It is extortion to have to pay for someone’s service, or my lack theirof, and neither Public Service Commission nor attorney general’s office seems to think so even with the safety concerns you have found, or issues I had with one month of having a meter on. I am opting out, but want these fees paid back to me and all Marylanders who choose to opt out. I think we need legal help. Oakley California Cell Tower. Elderly low income community. 7 dead in 7 months. Dead broke too. 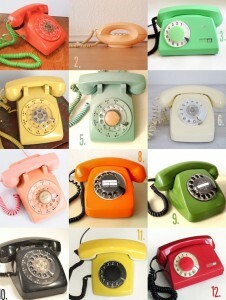 You have a terrific collection of posts and graphics on your site. Without resources for legal help, seems like it would be helpful to reach out to more people. Maybe consider putting a couple of your info graphics onto a paper flyer and pass them out to wake more people up to the dangers. Since this is an elderly community I have been but not alerting the residents because they are older and stress is not good for them and I don’t want any of them to worry themselves to death but I guess it’s about time that I to talk to them I am also afraid of the owners coming down on me I’m sure that they would not like me to organize anything that would make their mobile home park look bad. 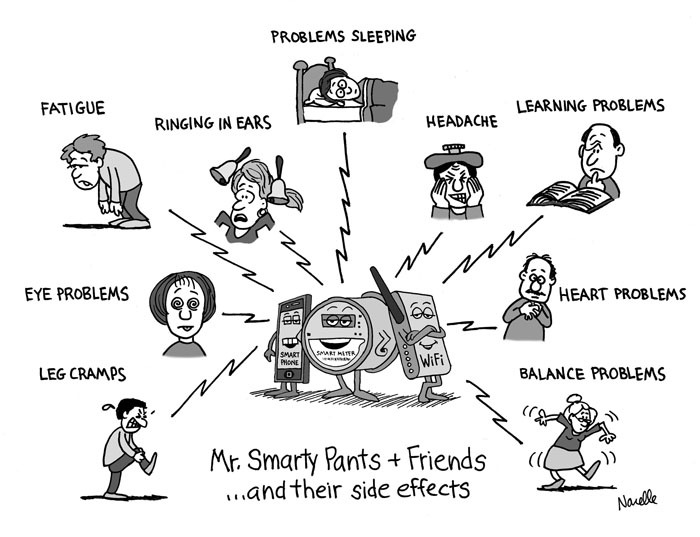 Presently I am working with Joshua Hart Director of Stop the SmartMeters Organization. I will be conducting a door to door Health survey and I’m scared to death. This is an awful lot to take on. I wish there was a non-profit I could work with locally or a mentor. Someone to hold my hand, truthfully. Thank you for your interest. Maybe doing a survey is too uncomfortable for you? Perhaps just taking a one page handout with some info about the tower and what the science says about health risks, and what your concerns are, plus then what you want them to do about it. 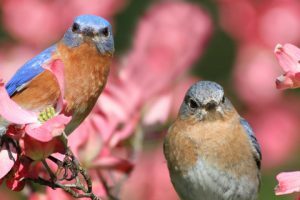 If you can get together 3-4 others then you can work together and decide what to do next. I am a direct target for EMF”s or “microwave”. Unable to find a way to get it turned off again. Public simply unwilling to share needed info to put a stop to this. It took minutes to turn it on;want the same in reverse. HOW? And who can help? So much voltage;can barely move a lot of the time. Seems to be an agenda of some kind;no clue what it is. I am a direct target for EMF”s or “microwave”. Unable to find a way to get it turned off again. Public simply unwilling to share needed info to put a stop to this. It took minutes to turn it on;want the same in reverse. HOW? And who can help? So much voltage;can barely move a lot of the time. I live near USC in los angeles and there is EMF and radiation being used on low income residents here it seems to move us out if the area to let more University students replace the area inatead of low income housing. Please help im experiencing symptoms of EMF and i have reported electronic Harrsement to law enforcement and city officials since may 2018. Please help me i need help the perp has construction site next door.